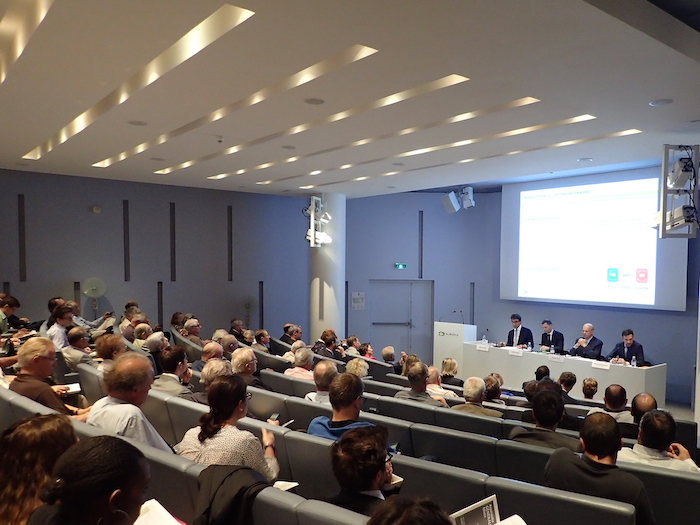 Join us at least once per year for this key highlight in the annual life of the Group: our General Meeting of shareholders provides a special platform for our shareholders, giving you the opportunity to engage in dialogue with the executive management team. Attending the General Meeting of shareholders and exercising your voting rights require you to complete a number of formalities. These are explained in detail in the invitation brochures sent by post to direct and administered registered shareholders, and published online for bearer shareholders at least 21 days before each meeting. Please read these brochures carefully, because they contain important information to make sure that your vote can be counted. In the event of any difficulty, please do not hesitate to contact us: we will do everything we can to enable you to take part in our General Meetings of shareholders. Albioma is giving its shareholders the possibility to vote online. The Votaccess platform is used for online voting. If you hold direct registered shares, you should use your usual PlanetShares ID and password, which were sent to you directly by BNP Paribas Securities Services by post. If you hold administered registered shares, use the ID which appears on the top right of the voting form which you received by post. If you have lost your ID or your password to connect to the PlanetShares website, please contact BNP Paribas Securities Services by telephone on this number: +33 (0)1 57 43 02 30. Online voting is available until the day before the General Meeting. However, we recommend that you log on a few days before this date to avoid the risk of increased network traffic. If you hold bearer shares, please contact your usual financial intermediary to check whether he has a Votaccess account. If this is the case you may vote online via the website of your usual financial intermediary, using your usual ID and password. All shareholders may send their voting instructions through the post, using the voting form. Please see the notice of meeting brochure below for further information. Whichever method of shareholding you choose, please use the voting form, which you can request from your financial intermediary or download from this page. On the voting form, tick box A, then date, sign and return the form to your financial intermediary, asking him to send it, along with a shareholding certificate, to BNP Paribas Securities Services. BNP Paribas Securities Services will send you your admission pass which you must show at the desk on the day of the meeting. On the voting form, tick the relevant box and shade the boxes corresponding to the resolutions that you do not approve (or for which you are abstaining), then date, sign and return the form to your financial intermediary, asking him to send it, along with a shareholding certificate, to BNP Paribas Securities Services. On the voting form, tick the relevant box and clearly indicate the name and address of your proxy holder, then date, sign and return the form to your financial intermediary, asking him to send it, along with a shareholding certificate, to BNP Paribas Securities Services. To give your proxy to the Chairman, tick the relevant box, then date, sign and return your voting form. The Chairman will exercise your voting rights by voting in favour of all the resolutions approved by the Board of Directors and against all others.